Is 2019 the year when the Center for Art Law starts supporting its interns financially? We hope so. Center for Art Law Summer Class of 2018. ﻿From left to right: Shlomit Heering, Ethan Ashley, Jennie Nadel, Claire Dettelbach, Hanna Feldman. Each summer, it has been our privilege to welcome talented and eager university and law students. 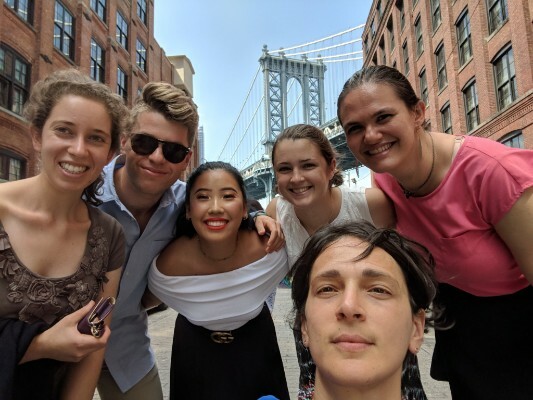 Students learn so much from the wide range of issues we write and research about, and from being a subway-ride away from museums, galleries, and auction houses here in New York, and we would love to help them defray their expenses by providing them with a stipend. Therefore, the Center for Art Law is launching an initiative to invite subscribers and followers to make a donation to sponsor the incoming class of five summer interns. We would like to provide each of them with a $500 honorarium to help them cover transportation and living expenses, and to be able to rent an extra office. If you do not have a Paypal account, please click on of the credit card accounts and check out as Guest. The Center for Art Law was founded in 2009 to advance knowledge of the visual arts and cultural heritage law, and became incorporated as a 501(c)3 not-for-profit organization in 2018. All donations are considered charitable contributions and are fully tax deductible to the extent permitted by law.